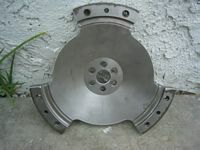 *New* Guzzipower now has lightened big block flywheels in stock for $489.99 + shipping, with no exchange required. These fit all big block Guzzis from the 1967 V700 to the late model Californias. You asked and we listened. 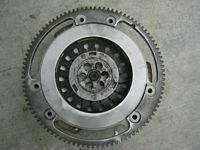 Guzzipower.com offers lightening services on single and double plate small block and big block Guzzi clutches. 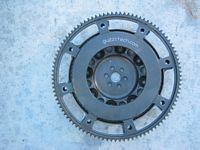 Lightening the flywheel on the early Tonti Guzzis is the single most noticable modification that you can make if you're building a classic sporting machine. Lightening will make your Lemans or V7 Sport much more responsive to throttle inputs, much easier to shift, and much more fun in the twisties! 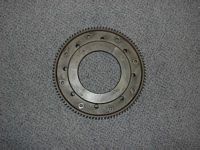 Complete CNC flywheel and ring gear lightening jobs start at $325, including balancing with your donor flywheel. 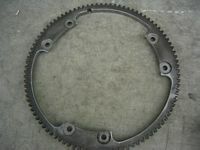 Smallblock ring gear lightening is $225 as only the ring gear is modified. 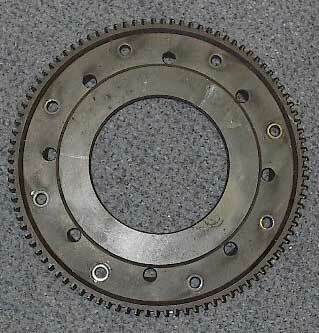 Featherweight lightening jobs for racing applications are also available. 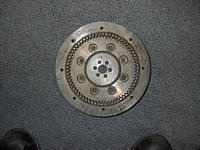 Many common flywheels are in stock and ship immediately. 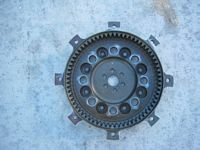 While it is recommended that you paint on your own timing marks by degreeing the flywheel, timing marks can also be transferred from your old flywheel. 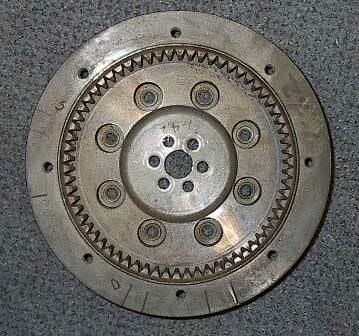 Please ensure that your flywheel is in servicable condition before proceeding with lightening. 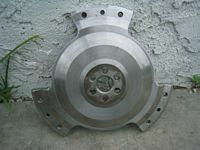 Ed's newly cut single plate steel racing clutch.